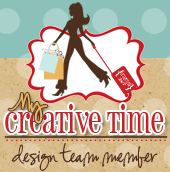 Welcome to Day #5 of the My Creative Time July Sneak Peek! Wow I cant believe we are almost done with sneak peeks! Tomorrow will be the blog hop so don't forget to check it out! For today, I made this cute and simple card. Can you guess what products I used? I used mostly scraps to make the card but of course I used Miss Emma's fabulous products. The cute crime scene take I bought online somewhere but cant remember where. (So Sorry) It was very simple to put together. This card would be super cute for a surprise birthday card, right? Make sure to stop by and visit the rest of the design team members for more creations. Big crafty hugs and I will see you tomorrow! such a fun card Nancy! Love the colors, that gorgeous bow and all the fun stamps and dies! Super cute, love the colours!!! I spy the file folder!! So adorable, Nancy! Love the crime scene tape! VEry cute idea! I spy the Stitched File folder and index card die. Adorable card. Love the crime scene tape in the background perfect addition to this card. Love how you used the tags coming out of the index folder. Perfect job. Thanks for sharing. I see that you used the Stitched File Folder & Index Card Die set in today's project. I spy the Stitched File Folder & Index Card Dies. What a super card...love the tape and ribbon too. Great job. cute cute card and love how you used all of Emma's goodies. U R so talented. How clever to have words bursting out of the Stitched File Folder die. What a great concept for this card! LOVE it!! I believe those labels are from Just Simply Live stamp set. Of course the file folder die. Your card is fantastic and I love how you used the Stitched File Folder. 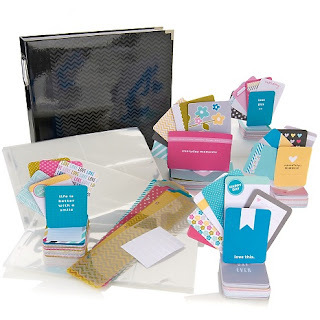 That's really cute how you added the little banners coming out of the file folder using the Just Simply Live set. What a great card!!! I love the theme! I spy the Stitched File Folder! What a cute card! I spy the stitched file folder die. Cool card. Love the Just Simply Live die banner.